Free on site parking in private lot in front of the restaurant. COTA bus stop within 50 yards of restaurant. Let us bring the Polaris Grill to your home or office or enjoy the spacious rooms of the Quest Conference and business center while enjoying Polaris Grill cuisine through our catering service. Please see our menu at www.polarisgrill.com or call to book your event at 614-431-5598. Our catering director is Chris Munoz. The private North Star room provides the perfect atmosphere for a rehearsal dinner or bridal shower or an excellent facility for corporate dinner meetings. Our North Star Room will hold private parties of up to 50 people. Available breakfast, lunch, and dinner Monday through Sunday. Guests from across the globe come for our Famous "55" salad, Wild mushroom bisque, and Aztec Chowder but leave raving about the fresh seafood and delicious steaks. Owned and operated by local restaurateurs Cliff Madden and Darren Greene, the Polaris Grill delivers the best dining experience in North Columbus. Serving lunch Monday through Sunday, a sensational brunch on Saturday and Sunday, and dinner nightly the owners use their 50+ years combined restaurant experience to transform the Polaris Grill into a Columbus dining destination. Puffed herb bread flavored with basil oil and served with roasted garlic fondue. Parmesan crusted chicken breast sauteed and served with fresh vegetables and garlic mashed potatoes. Served with barbecue and jalapeno ranch sauce and fresh cut fries. Topped with sweet crabmeat, demi glace and bearnaise sauce and served with garlic mashed potatoes and asparagus. Blackened chicken breast in a tortilla with pepperjack cheese, pico de gallo, guacamole and sour cream. Basted with tangy BBQ sauce with creamy cole slaw and French fries. Sauteed with mushrooms, corn, tasso ham, and Cajun spice in a light cream sauce. Served over a cheddar cheese grit cake. Creole mustard sauce and tomato chutney with asparagus and garlic mashed potatoes. Served with Creole mustard sauce and tomato chutney. Thin slices of uncooked beef tenderloin, Ohio field greens, Parmesan croustade and garlic aioli. Served with citrus butter sauce and fresh vegetables and garlic mashed potatoes. With fresh tortilla chips and herbed croustini. Topped with tomato basil cream sauce. Served with zucchini risotto and fresh vegetables. A combination of shrimp cocktail, chicken tenders, Pane de Grill and crab cakes. Our contemporary version of a classic. Breaded whitefish filets served with jalapeno tartar sauce, sweet potato fries and cole slaw. With our 55 Signature dressing, red apple slices, chopped pecans and bleu cheese crumbles. 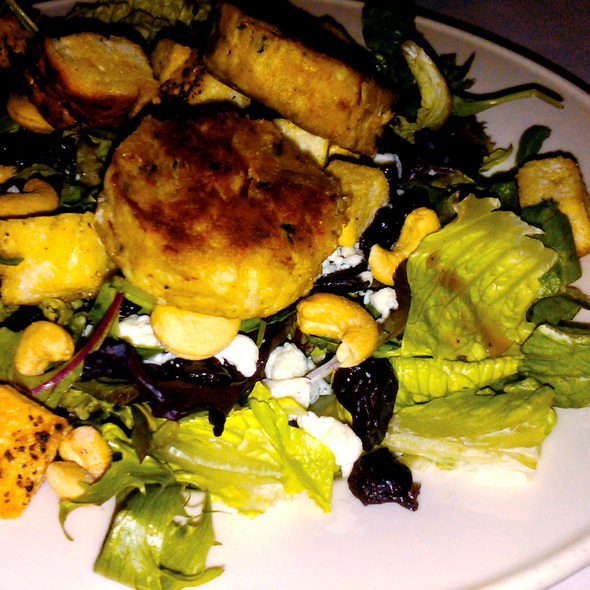 Baby lettuces with cashews, sun-dried cherries, croutons and bleu cheese crumbles, tossed in raspberry vinaigrette. Baby lettuces tossed with strawberries, raspberries, blackberries and blueberries.Sprinkled with cinnamon, sugar and candied pecans. Drizzled with poppyseed dresssing. Tuna seared medium-rare with baby lettuces, bleu cheese crumbles, pecans and carrot noodles in a sesame dressing. Wild mushrooms blended with cream and a touch of spice. Chicken, andouille sausage, okra, crawfish, and vegetables. White beans, chicken, and chilies topped with pepperjack cheese. 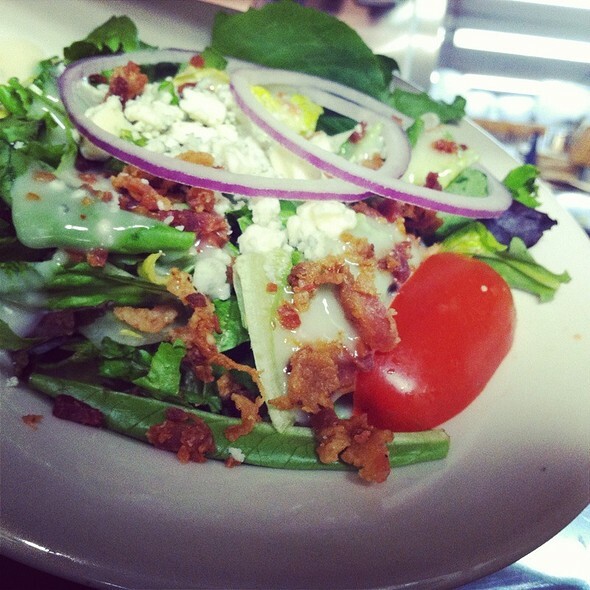 Baby lettuce topped with onions, bacon, bleu cheese crumbles, and tomatoes, drizzled with 55 dressing. 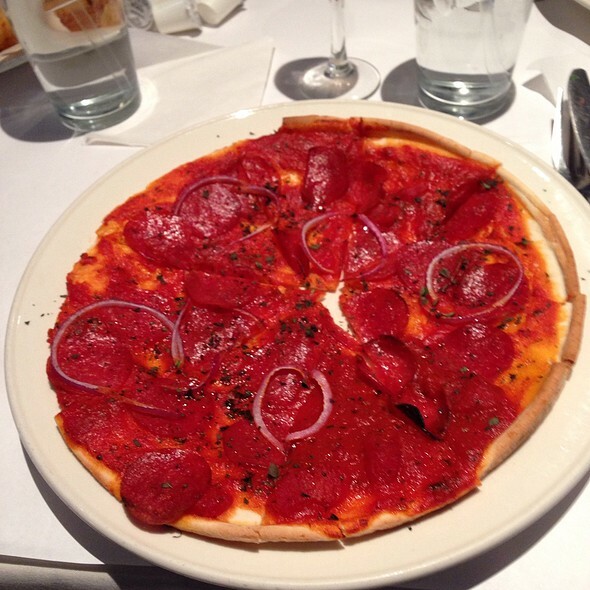 Pepperoni, provolone, and shaved red onion. Almond crusted then pan seared and placed on a bed of lemon buere blanc. Served with zucchini risotto and fresh vegetables. Shaved breast of turkey, melted Swiss cheese, sauerkraut and Russian dressing on rye bread. Served with fresh cut fries or fresh fruit. Shaved prime rib, onion jam, creamed horseradish and a choice of fresh cut fries or fresh fruit. 1/2 lb of beef charbroiled to your liking, then topped with guacamole, bacon, pepperjack cheese, lettuce, tomato and onion. Served with fresh cut fries or fresh fruit. Three sliders made up of filet mignon, crabcake and chicken tenders all served with the appropriate sauces. Served with fresh cut fries or fresh fruit. Salami, pepperoni, ham, and provolone baked then placed on a garlic toasted sub roll with lettuce, tomato, onion and a Italian sweet and sour sauce. Served with fresh cut fries or fresh fruit. 1/2 lb of beef with your choice of cheese, lettuce, tomato and onion. Served with fresh cut fries or fresh fruit. Your choice of soup or salad served with 1/2 of a chicken wrap. Battered Walleye with tartar sauce, lettuce and tomato. Served with fresh cut fries or fresh fruit. Ham, turkey, bacon, lettuce, tomato, garlic aioli and creamy havarti cheese on a buttered croissant. Served with fresh cut fries or fresh fruit. Chicken, bleu cheese, bacon pieces, diced tomatoes and lettuce tossed with our house dressing in a flour wrap. Served with fresh cut fries or fresh fruit. Shrimp and scallops tossed in a tomato cream sauce with linguini, mushrooms, tasso ham and Cajun spices. Mixed roasted vegetables tossed in a marinara sauce with fresh linguini. Fresh chicken breast, mushrooms and tasso ham sauteed and tossed with penne pasta in a rich alfredo sauce. Tossed in a creamy clam sauce with fresh shiitakes and roasted asparagus. Tomato, basil and chardonnay cream. Ate for Easter buffet. It was great. The only bad thing I could say is the waffle / French toast station need signs of what fixings one could add. Desserts were great! Easter buffet foods were terrible. Dry, not refreshed. Menu food may be better. Nice Easter brunch, salmon was delicious with an awesome presentation. Another awesome buffet! Front staff were so great and remembered that we prefer a table! Such a great restaurant. 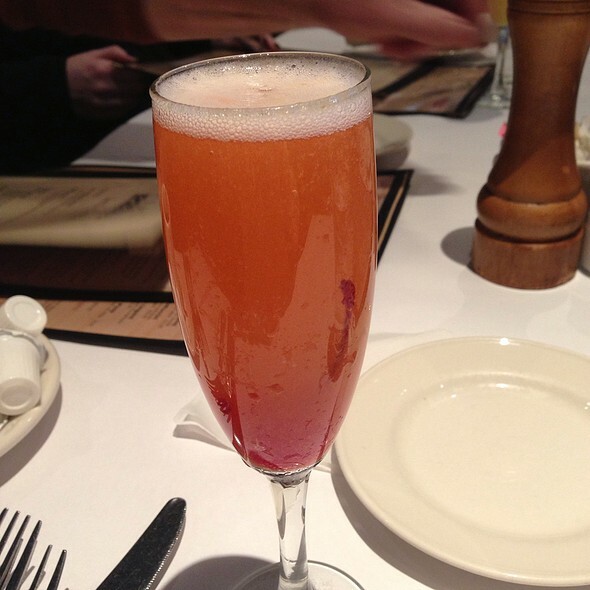 Regular coffee (not specialty coffee) and hot tea should be included in brunch pricing. The food was delicious !! Good size portions for the price !! menu. Waiter was attentive and the prices a bit above par. Location was tucked in from the main road but exiting heading east was quick. Our server was very nice and attentive. I can't believe this restaurant has such a high rating. We were traveling and selected this restaurant based on the rating. The food is awful. The crabcakes have absolutely no crab in them. My daughter was sick all night after eating the walleye. The shrimp was mediocre. 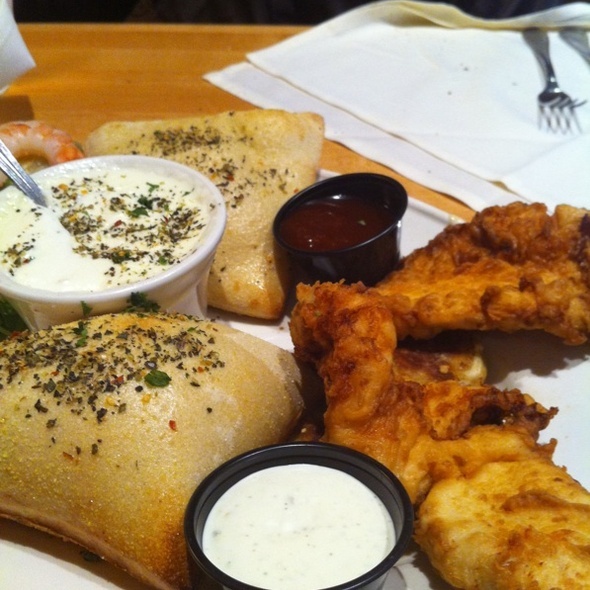 Because it was Good Friday, we asked for a substitution on the Platter for Two, which included chicken tenders. No additional shrimp or "crab"cakes were added to replace the chicken. The waiter never mentioned any specials. In addition, we also ordered the Pane de Grill - had the waiter told us this bread was also included in the Platter for Two, we wouldn't have ordered it. (it's stated on the menu, admittedly, we missed it, but I still feel the waiter should have mentioned it) I can't tell you enough, the food is soooo bad and this restaurant won a Diner's Choice award? I have no idea how - don't waste your money. Wow!! Okay I am a food snob. I lived in LA for 12 years and work in the hospitality industry. Seriously fantastic experience and dinner. I didn't know what to expect our first time there but it exceeded our expectations! The Filet is cooked to perfection! I worked at Morton's for five years WAY before it was owned by Landry's and that Filet tasted just as good as old Morton's! Their house salad with the 55 dressing is delicious! I wish I could get that salad dressing recipe. Their wine list has some great selections and very fairly priced. Our server Penny (I hope I got her name right) was AMAZING! We loved her and she truly gave us a fabulous evening that we very much needed after a tough week. We will be back and will be bringing many friends & family here! Great service and food. A hidden gem. Love this restaurant SOOOO much!!! The food is great. Unfortunately, I cannot recall our server’s name. However, he was great! Offered to get us into the restaurant prior to the wind & rain, but we deferred (until the true wind gusts began!). Excellent menu, lots of interesting choices. Service was top notch! Nice place for a family dinner or brunch. My wife and I made a late (pre-one hour) reservation, and I was surprised to find that there were three left, according to OpenTable. Upon arrival, the wait was roughly 15 minutes, since OT reportedly counts the outside tables, which were not actually available. We were offered a booth in the bar area, accepted with some misgivings. As it turned out, it was relatively fine, notwithstanding the damned TVs, which are difficult to ignore. The sound level was tolerable (we could talk without raising our voices). The service was good, but she was harried. The food, as always, I very much like. My wife almost always gets the crab cakes, and I got the fettuccine salmon white sauce; both of us got the 55 salad, as usual wonderful. Both entrees eventually made two meals. Basically, Polaris Grill is among my favorite chow halls; but I would prefer the dining area. No TVs. The Polaris Grill is our go to anniversary destination. Great food and outstanding service. We would definitely recommend Polaris Grill to anyone. We have been going for years. We were going out with friends and we realized we both wanted to go to Polaris as it is our favorite resturance. Always consistently delicious food. Our poor waitress, Penny, was assigned three huge parties in the one room but handled it really well and still had fun with us. Ambience is always lovely! We had a good experience at this restaurant. The food was a bit on the pricey side, but was delicious. Had a variety of options for seafood. Our server was very nice and helpful and we didn't have a very long wait for our food to arrive. Only downside is, the server seemed to be in a hurry to clear our plates off the table. We went for dinner and it was not even close to the closing time. 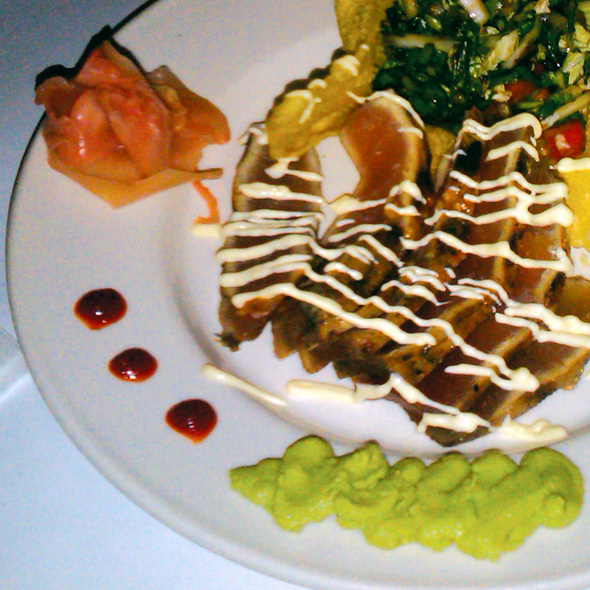 We were a party of 4, and for our appetizers, we had the 'platter for two' and 'Fried Green Tomatoes & Shrimp Stack'. All the appetizers were so delicious!! Really liked the sauce in the tomato and shrimp stack. For the entrees, we went with the Chicken and Tasso Ham Penne, Parmesan Encrusted Chicken, Fish and chips, Tomato Basil Chicken. The entrees tasted good and was filling as well. Delicious food. When the weather is nice, they have a beautiful patio for dining. We so enjoyed the "55" burger and salad dressing experience. The wait staff was awesome! Our waitperson,Vanessa, was great. The food was excellent. It was hard at times to hear companions at normal levels (seated in the main dining area). Great food and service as always!!!!!!!!!!!!!!!!!!!!! Food was fantastic. They appeared short staffed. Our waitress was busy every moment, but it took an exceptionally long time for our meal. We had another excellent meal and service at one of our favorite restaurants. We really enjoyed having Penny as our server. Arranged for our group to sit in a corner booth since one in our group was hearing impaired. Service and food were great. The food not only being excellent was very pleasing to the eye! We met with a friend from out of state. They seemed pleased with their dinner and we were happy to show them our favorite local restaurant. The three of us ordered the burger-they were great! The server was quite quick and rushed. Some of the menu items were overpriced. Outstanding food service and atmosphere!! Excellent service and by saying “excellent”, it’s not even valid as the service was amazing. We tried Calamari, New Orleans Shrimp and Spinach Artichoke and all three were fantastic appetizers. The 55 salads were solid. I should order dressing on the side, but it wasn’t drenched and very good. Some who ordered the Ribeye were more than pleased. Walleye was very good. 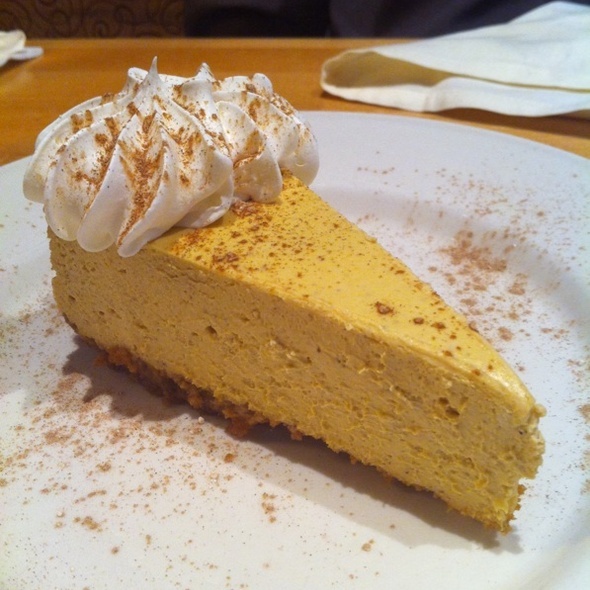 Even cheesecake was very good! Just a really nice menu with lots of choices to offer anyone. Great service. Jacob was very attentive and responsive. The food was very tasty. I had mushroom soup and prime rib sammy. I left satisfied and full. My wife had breakfast which she enjoyed. Server was attentive. Very nice brunch with friends. Was referred to the Polaris Grill by a local hotel we were staying at. Reservation process was very easy. Our waiter was VERY knowledgable about the menu and the wines and gave great recommendations. 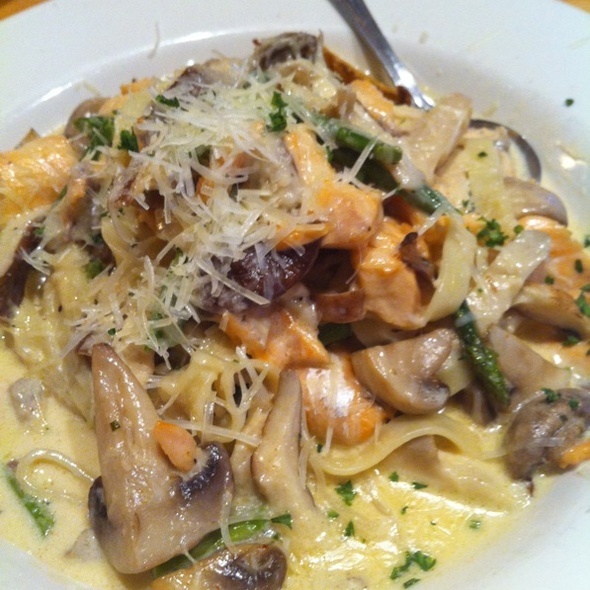 Very nice mix if seafood,steak, and pastas to choose from. Our meals were prepared faster than expected. We were very impressed and will definitely go back again. This is our favorite restaurant. It never disappoints us. Very good experience. Try the Oregon Wild Mushroom Soup, Carpaccio starters. Also Fish and Chips were great. My wife had the beef Tournedos and was very pleased. 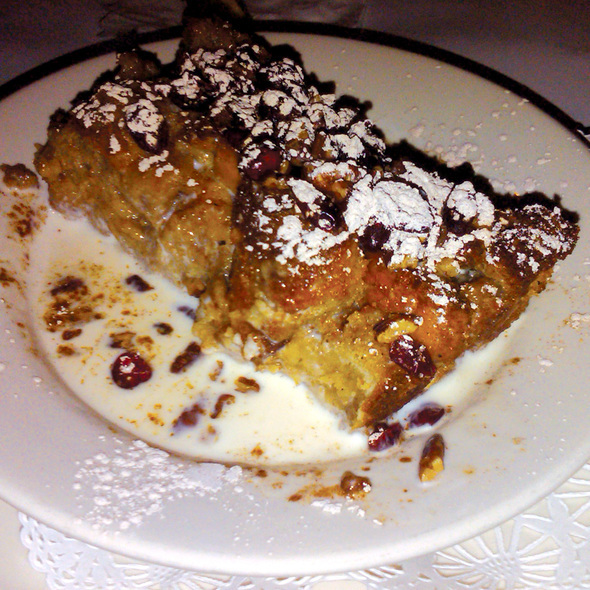 I got the Louisiana Bread Pudding with Bourbon sauce for dessert. All amazing. Hail to the chef!